Explore a variety of resources for managers and staff. 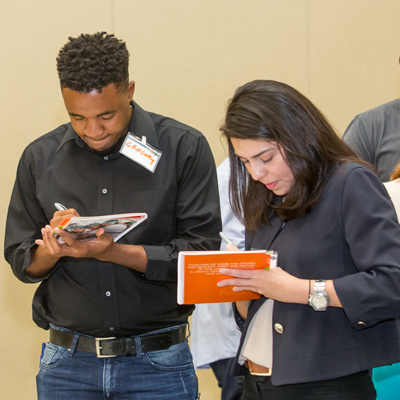 The department of Talent and Organizational Development offers a myriad of opportunities for you to learn, inspire, and grow. 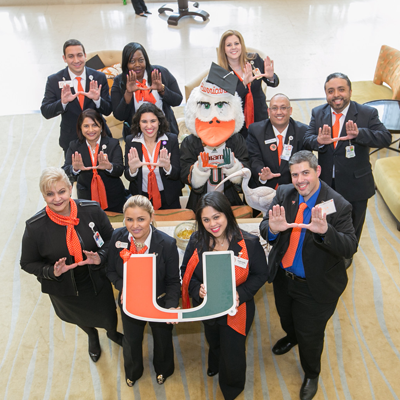 From leadership development programs, executive coaching, tailor-made development for teams, team-building activities, online learning, and even opportunities to volunteer, get involved, and give back to the U; there is something available for you. Sign up to learn about becoming a U Facilitator! Essentials of Leadership graduates learn to lead people to perform at their best and drive results that make a greater impact. 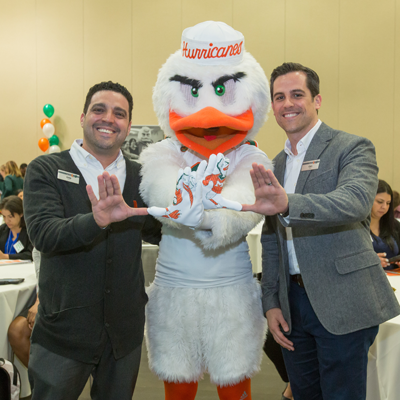 There are a number of opportunities to inspire others at the U while building your own skill-set. 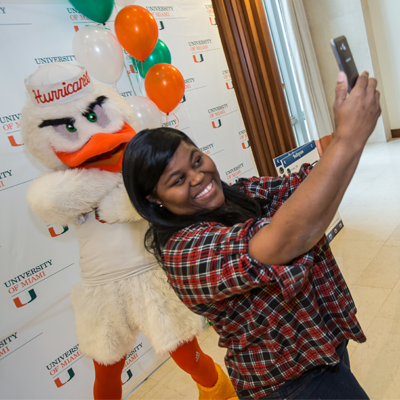 Faculty and staff never know when Sebastian the Ibis will appear - but when he does, it's always a party. I Am The U participants engage in a variety of activities on their first day at the University.